I have always wanted to own a tractor. I purchased a 1981 International 4786 4wd. 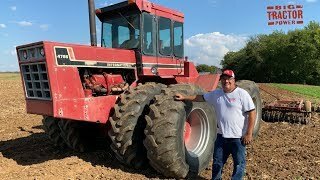 In this video you can climb in the cab of this 350 hp V-8 engine tractor and see it work as well as watch and hear it work in the field. The video covers the specifications and functions of the International 4786.
Who Did Steiger Build 4wd Tractors For?